Nothing like an easy Grilled Garlic Peppercorn Pork Loin to enjoy during this summer and grilling season. I made this in less than 20 minutes and my family enjoyed the meal very much. And that is important, because satisfying the tastebuds and the hunger is my purpose when feeding them. All food has to be tasty to consider I did a good job. 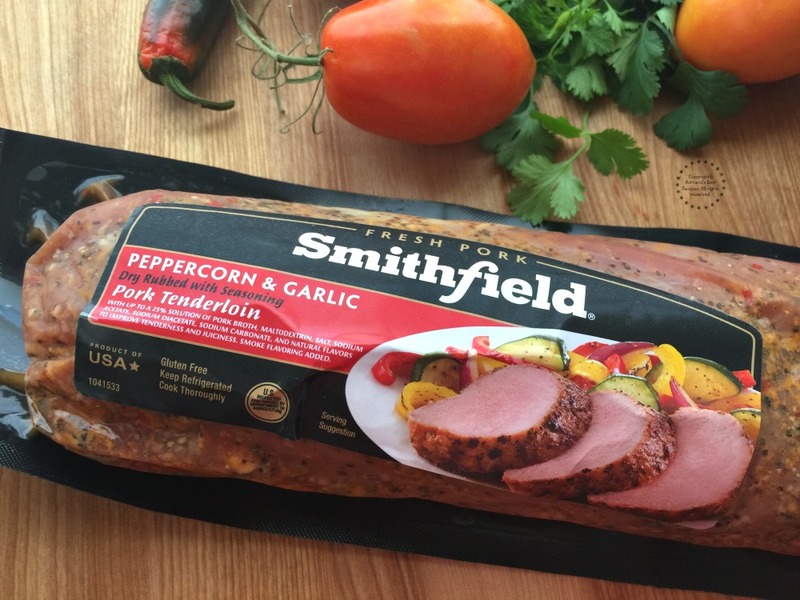 And with Smithfield Marinated Fresh Pork I can achieve that goal fast because they do the work for me and this product is great for grilling. The Smithfield Peppercorn Garlic Pork Tenderloin that I used for this recipe comes already marinated, ready to just drop on the grill, cook and enjoy. This really saves time as you do not have to prepare a marinade, rub or a glaze. And the flavor is just wonderful. 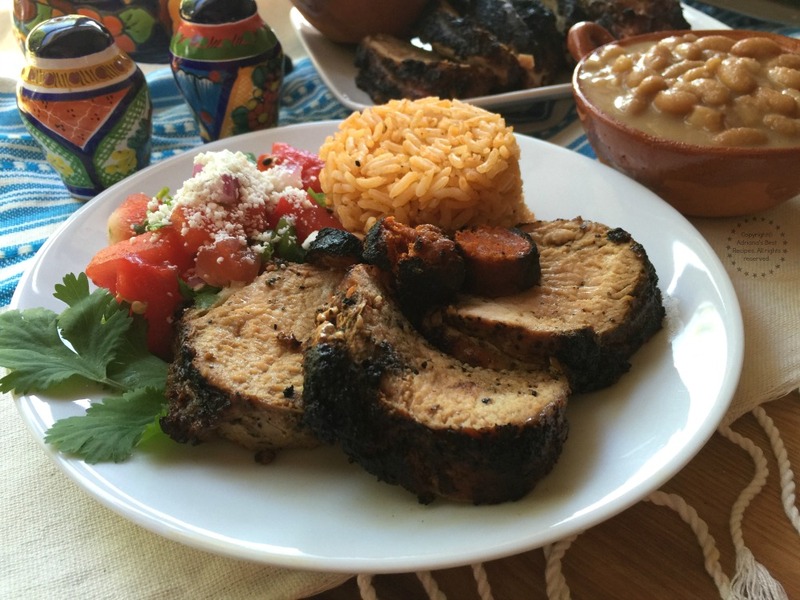 The pork comes out very juicy and with the flavor profile to satisfy my family’s tastebuds. And if you have any leftovers, which I did not get any, you can use the pork meat for sandwiches, quesadillas, tacos, burritos, tostadas and sopecitos. Nothing like an easy Grilled Garlic Peppercorn Pork Loin to enjoy during this summer and grilling season. I made this in less than 20 minutes and my family enjoyed the meal very much. 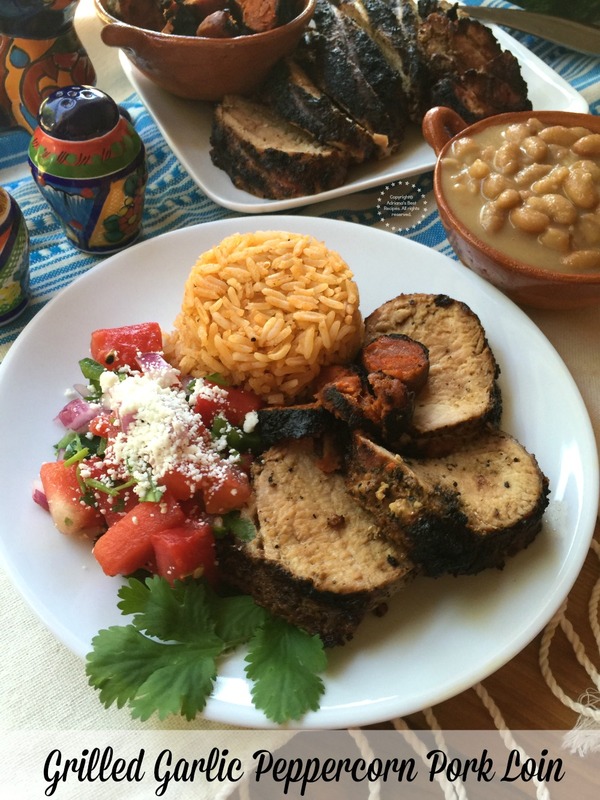 This pork loin I paired with Mexican rice, chorizo, grilled watermelon salsa and mayocoba beans. Fire up the grill and let the charcoal look like ash. Open the package of the Smithfield Peppercorn Garlic Pork Tenderloin and sear on both sides in the charcoal grill. Move the pork to lesser heat grill area and let it cook. The pork will be ready when reaching an internal temperature of 185 degrees Fahrenheit. Take the pork loin out of the grill and let it rest before you cut. Grill the chorizo links on both sides for few minutes and set aside. Use the charcoal grill following safety measures. Never grill inside. Make sure you place your grill in an area that has enough space and that the grill stands on a firm floor. Never handle hot grill vent without protective-grilling mitts or gloves. Use proper utensils to handle the meat while grilling. Keep the lid closed during cooking and avoid constantly opening the grill to check on the meat to avoid heat levels and smoke flavoring escape from the grill. If you are a pork lover and are looking for quality pork meat, visit your local Walmart. 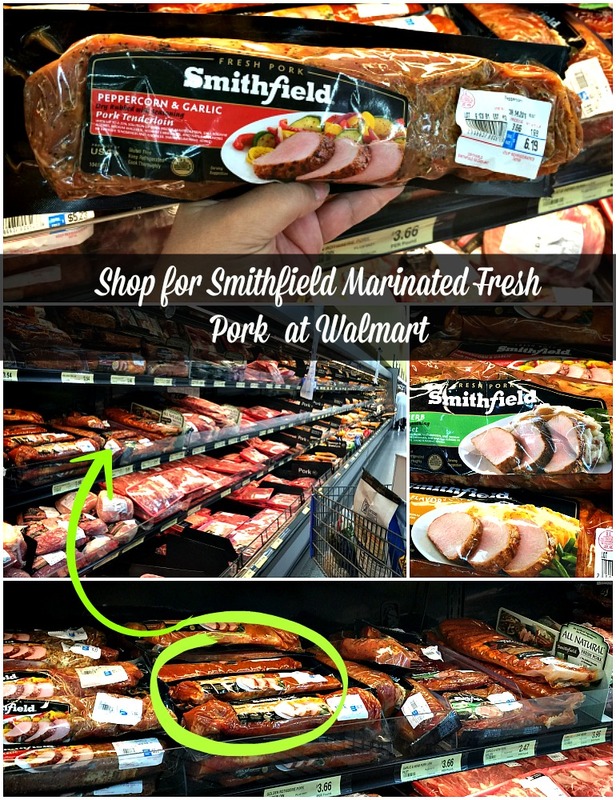 There you can find the full range of Smithfield Marinated Fresh Pork that is 100% pork meat and is perfect for grilling. 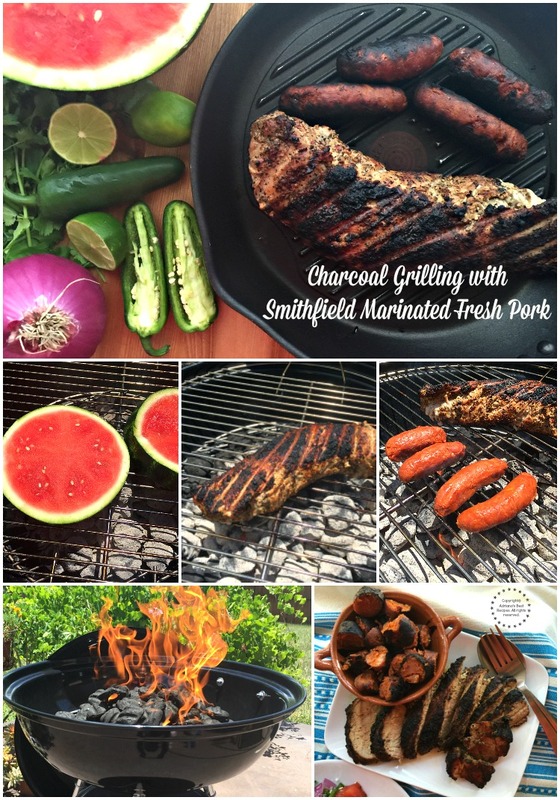 When grilling the Smithfield Marinated Fresh Pork I recommend to use a charcoal grill. I cooked my Grilled Garlic Peppercorn Pork Loin using that grilling technique and came out incredibly tasty. 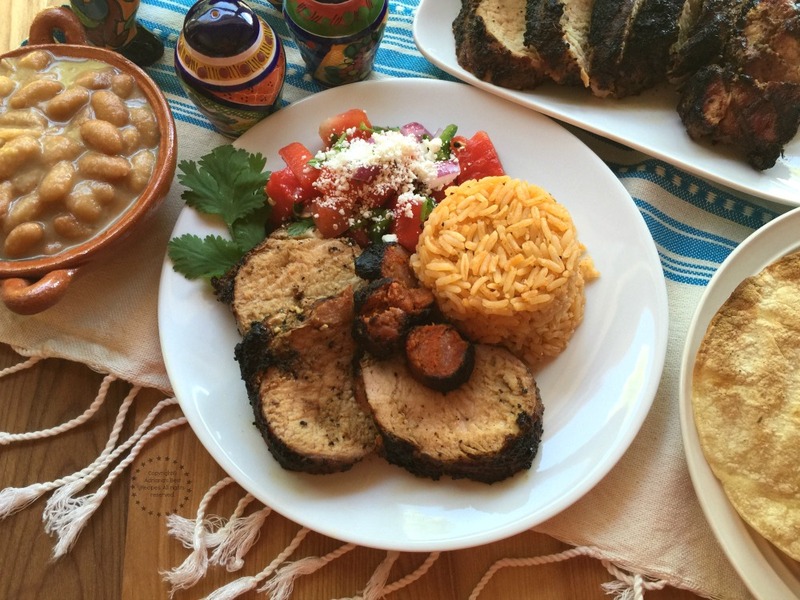 The charcoal provides a very nice layering of smoky flavor and using charcoal is also a Mexican tradition. Our parrilladas we always like to use direct flame and charcoal to get that distinct flavor profile. For the Grilled Garlic Peppercorn Pork Loin dinner I made my special grilled watermelon salsa and mayocoba beans using my great grandmothers very own recipe. The beans I just had to take out of the freezer and the salsa is done in no time. The Mexican rice I had leftovers from the day before and the chorizo cooks pretty fast too. You won’t believe it, but this meal was ready in less than 20 minutes. My husband and I teamed up, he took care of firing up the charcoal grill and me grilling the Smithfield Peppercorn Garlic Sirloin that resulted in a delectable Grilled Garlic Peppercorn Pork Loin dinner with all the fixings. Get inspired with Smithfield®! Visit their site, follow the brand on Facebook and Twitter. Subscribe to their YouTube channel too. They have very nice grilling options for all of us pork lovers! Oh yum! That looks delicious. I can’t wait to make this for my family! I’ve never tried their pork tenderloin before. This sounds really tasty! What a wonderful plate of summer flavors! Looks like this will be on our plates this weekend! I will get that Smithfield garlic peppercorn pork loin and have my son grill it to perfection. I may make a different salad to go with it. This is exactly the type of meal I love. The pork looks succulent. This sounds delicious! I may try it for dinner too! Wow that looks incredibly delicious! 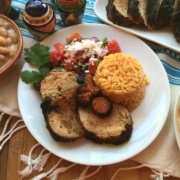 Would love to try this, I love pork loin and this looks SO good. This does sound really delicious and easy!! I love when meats come pre seasoned. I don’t have a grill so maybe I will tell a friend of mine who does about this! Sounds amazing! I love pork loin! I’m very curious about that grilled watermelon salsa, it sounds so refreshing and I’m sure it goes well with other dishes! 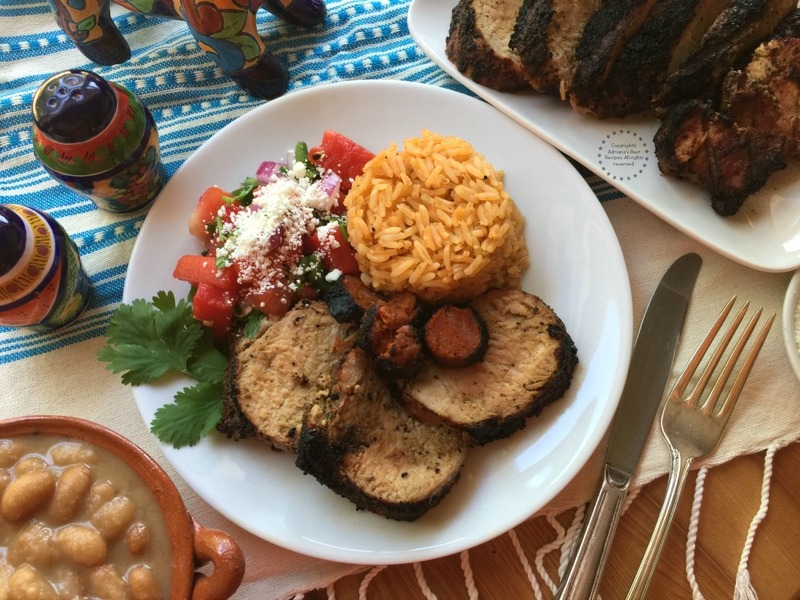 This dish is fit for the season, it’s barbecue season after all!